Wesley S. "Steve" Hammontree, Sr. 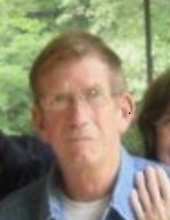 Celebrating the life of Wesley S. "Steve" Hammontree, Sr.
Obituary for Wesley S. "Steve" Hammontree, Sr.
ROCKVILLE-Wesley S. “Steve” Hammontree, Sr., 67, of Rockville, Indiana passed away at 7:53 am Friday, January 25, 2019 in the emergency room of St. Vincent Clay Hospital, Brazil. He was the self-employed owner of American Asbestos Abatement. He was born June 24, 1951 in Lenoir City, Tennessee to the late Joseph P. Hammontree and Nora Mae Skinner Hammontree. Survivors include his wife of 45 years, Theresa Snyder Hammontree whom he married March 24, 1973 in Lenoir City; also surviving, four children, Janet (Tim) Staton of Atlanta, Indiana, Wesley (Jann) Hammontree, Jr. of Rockville, Greg (Lindsey) Hammontree of Rockville and Stephanie Youngbar of Rockville; two brothers, Joseph (Martha) Hammontree of Fredericksburg and James (Mary) Hammontree of Radcliff, Kentucky; two sisters, Betty (Verlin) Bright of Vonore, Tennessee and Bobbie Lois Whaley of Tampa, Florida; 15 grandchildren and six great-grandchildren; several nieces and nephews. He was an Army veteran of the Vietnam War receiving the National Defense Medal, Vietnam Service and Campaign Medals, Army Commendation Medal and Combat Infantry Badge. He enjoyed camping, fishing and loved all animals. Services will be 11:00 am Monday, January 28, at Gooch Funeral Home, 112 W. Howard Street, Rockville. Burial will at Lincoln Memory Gardens Cemetery, Whitestown. Visitation is 4-7 pm Sunday at Gooch Funeral Home. Memorials should friends so desire, may be made Parke-Vermillion Humane Society, PO Box 155, Clinton, IN 47842 in his memory. To send flowers or a remembrance gift to the family of Wesley S. "Steve" Hammontree, Sr., please visit our Tribute Store. "Email Address" would like to share the life celebration of Wesley S. "Steve" Hammontree, Sr.. Click on the "link" to go to share a favorite memory or leave a condolence message for the family.